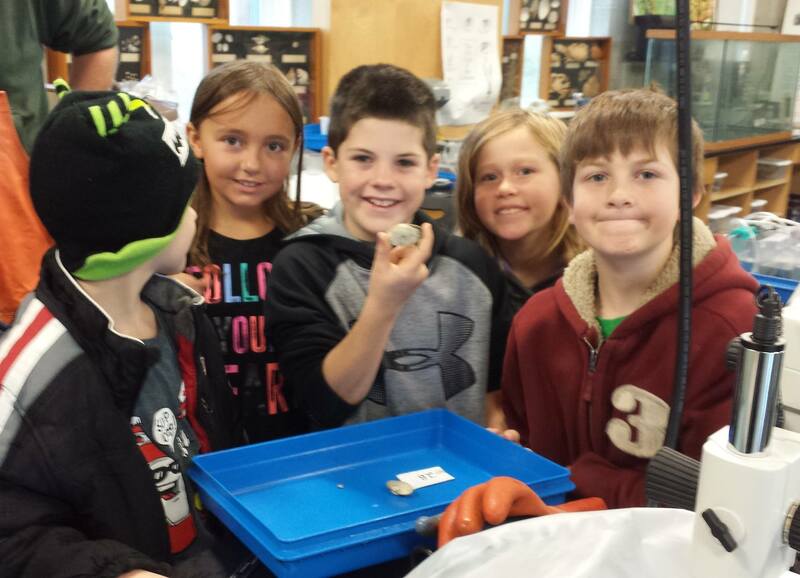 Beals Elementary students holding a clam they grew by covering it with predator deterrent netting. Since 2011, DEI has been providing experiential, hands-on science and math education to K-12 students, as well as training and assistance to teachers. Participants gain a better understanding of the scientific process through an in-depth immersion in intertidal and rocky shoreline ecology. Our ‘Let’s Find Out’ approach is integrated into qualitative and quantitative activities, providing teachers and their students useful and repeatable methods that can be used in any investigative setting. Please contact DEI’s Education Center Director Colleen Haskell at 497-5769 if you are a teacher and would like your class to attend Marine Science Days.